Have you been searching for the perfect new vehicle to fit your life? At Island Mazda near Union, New Jersey, we believe in providing the absolute best quality vehicles to our customers. That’s why we’d like to introduce you to the all-new 2017 Mazda CX-9. If you’ve been in the market for an elegantly designed vehicle with innovative technologies, unparalleled passenger comfort, and bold class, you should be looking at the 2017 Mazda CX-9. But why just take our word for it? Check out some of the facts and features that make the 2017 Mazda CX-9 an all-around amazing vehicle. 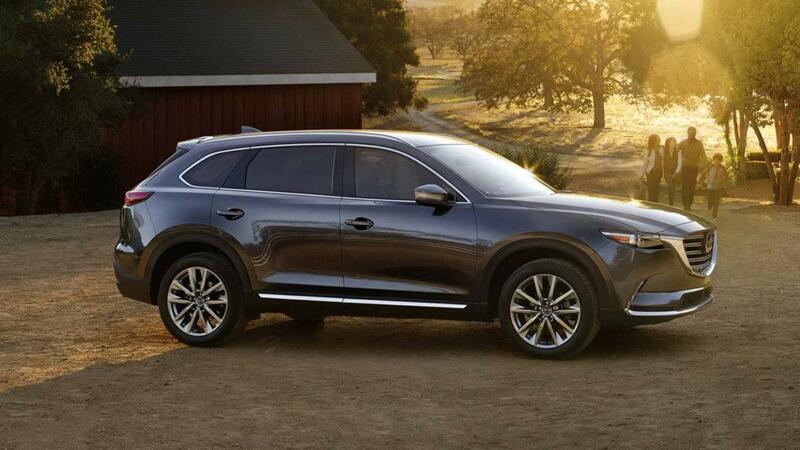 The exterior of the CX-9 is innovative, and indulgent. Masterfully crafted accents such as Nappa leather, sculpted aluminum, and genuine Rosewood give this vehicle an air of sophistication like no other of its class. The subtle curvature of the body is met with bold energy. Narrow, striking headlights and taillights give this sedan a sharp, intelligent look. Made with sophisticated poise in mind, the CX-9 does not disappoint. That’s not to say that the interior isn’t just as impressive. Impressive interior features such as the available heated second-row seat, USB port, spacious interior, sound-deadening interior and available Power LiftGate make this vehicle versatile, accessible and innovative. Those aren’t the only great features of the all-new 2017 Mazda CX-9, however. This 10Best award-winning vehicle features a 250-hp 2.5-liter turbo four mates with a six-speed automatic and either front- or all-wheel drive. The miles per gallon is an estimated 22 mpg city and 28 mpg highway for front-drive models. So, if you’re looking for the perfect balance of technology, comfort, and luxury, look no further. You’ll find everything you’re looking for in the all-new 2017 Mazda. So, stop by Island Mazda near Union, New Jersey to take a test drive of the all-new 2017 Mazda CX-9.